The World: Dragon’s Dogma takes place in the world of Gransys, an all new fantasy universe that is no doubt inspired by the likes of Tolkien and Gygax. As an open world RPG there are little to no limits as to where you can go and what you can see. The world itself is absolutely massive and exciting to explore; rivers flow to large bodies of water, thick forests hide groups of menacing goblins, and large boss creatures roam the wilderness looking for prey. As the sun sets in the distance, you’ll find yourself in desperate need of a functioning lantern, without which you’ll fumble around in the dark hoping to not get gobbled up in the night…and you will. 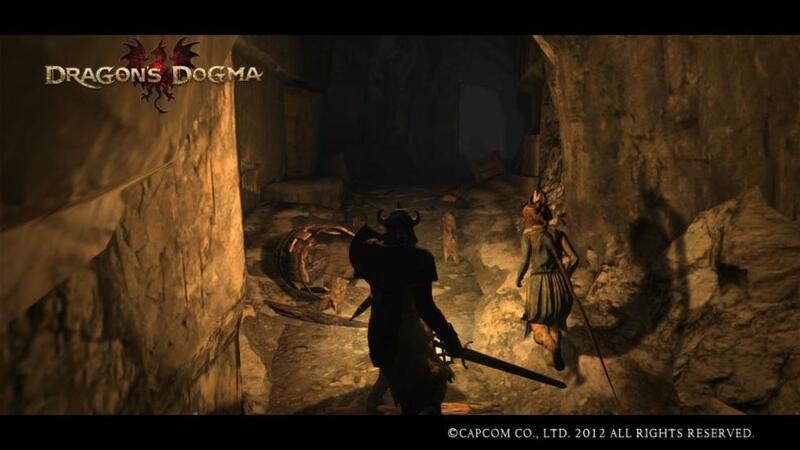 It should also be noted that there is no *real* fast travel in Dragon’s Dogma…you walk everywhere…a lot. Sure, eventually you can afford a fancy teleportation stone, but they are single use items and cost quite a pretty penny. Bring good boots. 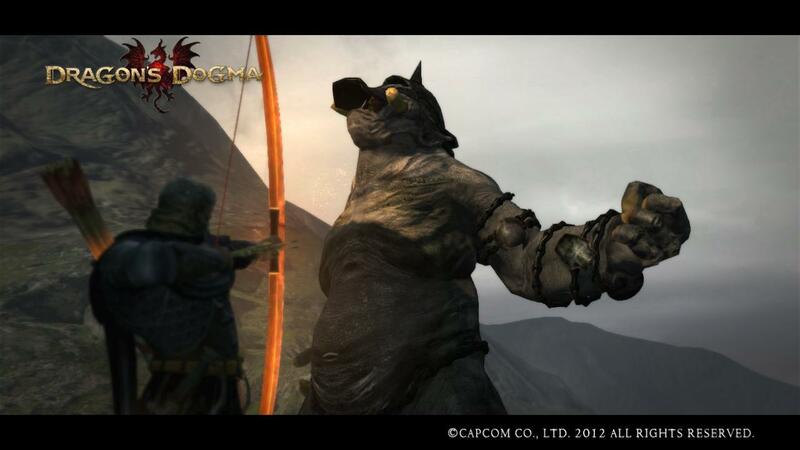 The Combat: With a wide variety of customizeable classes to choose from (nine total), combat is where Dragon’s Dogma really shines. 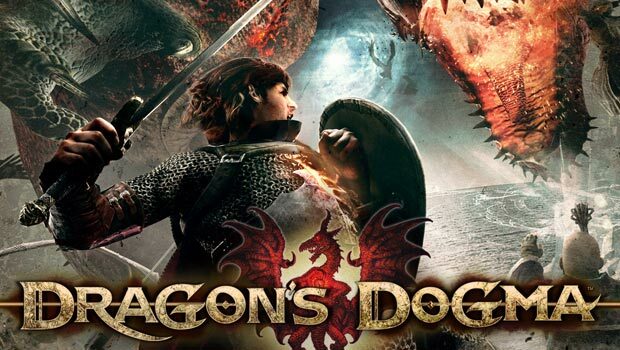 Some of the key members of the Devil May Cry team worked their magic on Dragon’s Dogma creating an action RPG unlike anything that I’ve ever really played in the past. Combat feels great and lives up to the pedigree of prior Capcom action titles. To be perfectly honest I LONGED for battle even though I constantly found myself surrounded and overwhelmed by superior enemies. In the first five hours of play I must have died about a dozen times simply because I couldn’t help myself from venturing a little bit further into those deep dark woods. 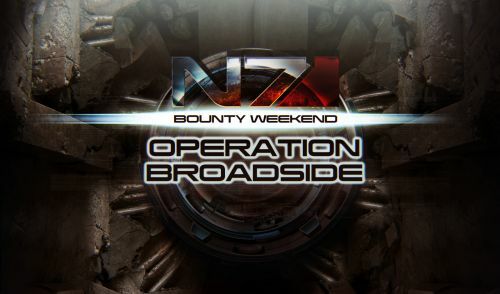 Normally an experience like that would be discouraging, but the oh-so-fun combat kept me coming back for more. Changing classes and testing out new abilities and gear is encouraged, and the player is never punished for experimentation. For instance, I spent the first 20 hours playing as a fighter, but switched over to a Ranger just for fun while still retaining a number of the abilities my fighter had obtained along the way. It’s damn fun. Pawns and Parties: As “the Arisen” you gain the bizzaro ability to control a race of humanoids from another dimension called “Pawns.” While you may be thinking that the command and control of another race is a BAD thing, don’t fret! These pawns are essentially souless automtons with no real personality or emotions of their own (see bots). Early in the game you create your primary Pawn sidekick using the same robust character creation tool used to forge your avatar. This main pawn will serve as your permanent sidekick on your adventure in Gransys. The truly innovative aspect of the pawn system is the fact that your pawn will join other players on their adventures while gaining valuable information, tactics, and occasionally loot. 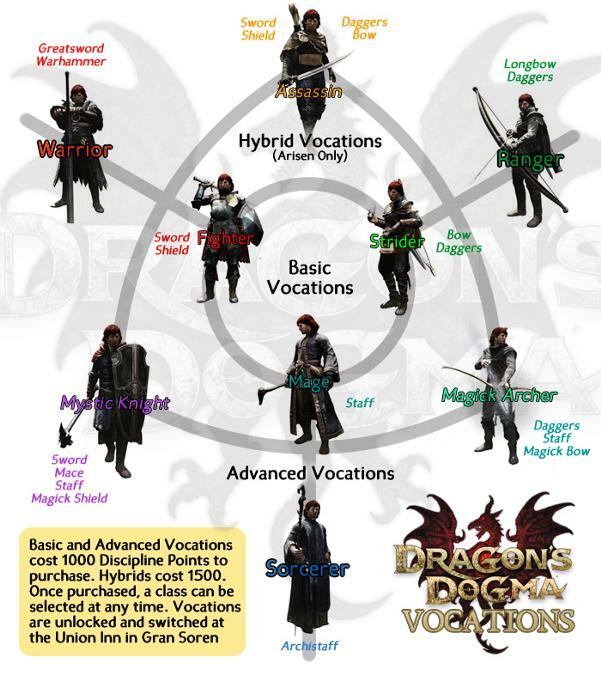 Your team of four will typically consist of two other player made pawns, your main pawn, and your avatar, The Arisen. 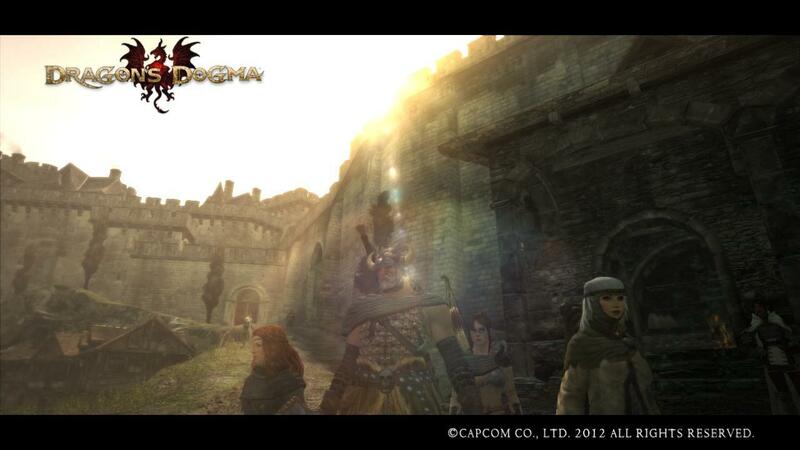 Story After spending over 20 hours with Dragon’s Dogma I can tell you that it suffers from some of the same problems as other massive open world RPGs, and that is characters and story. While the world of Gransys is rich and beautiful, the denizens are often bland and lifeless. And while there is a primary quest that involves the slaying of a large soul eating dragon, I found myself much more interested in combat and exploration. It was clear that great effort was made to give the world of Gransys a realistic atmmosphere, however without a proper supporting cast, most of my heroics were done simply for the carrot on string, and not because I actually felt motivated to aid “stranger X.” Did I mention I really love the combat and exploration? Last year on an early episode of Rated NA, the three of us spoke candidly about what we’d like to see from Capcom. After a brief debate, we stated how great it would be to have Capcom try their hand at an epic RPG. After all, when was the last time they created something like that? I’m happy to say that after spending a week with Dragon’s Dogma, we may have actually gotten the Capcom RPG that we’ve all been waiting for. This game seems great. I guess my problem is that Skyrim, Kingdoms of Amalur, and The Witcher seem great also; and to the fantasy layperson these all seem like similar games. In addition to the Dragon Age series, how do you pick the right one? For serious. 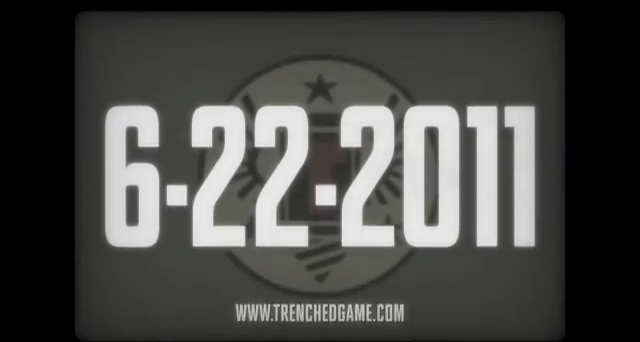 You don’t…you play them ALL! Haha, yes! I guess I was asking the question for discussion, but secretly yep, I’ll probably play them all sooner or later.